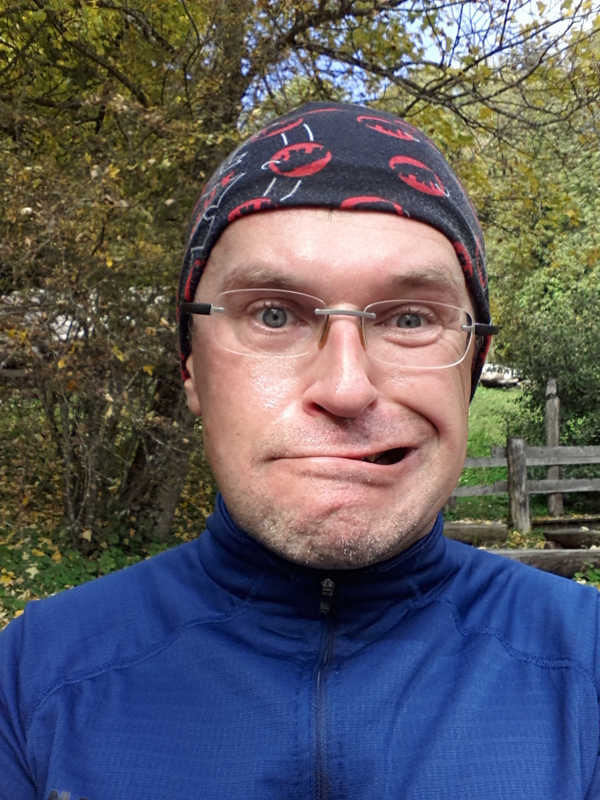 Like a real freak, already one week after 91-kilometer race in the canton of Grisons, I moved out on the trails around Zermatt. 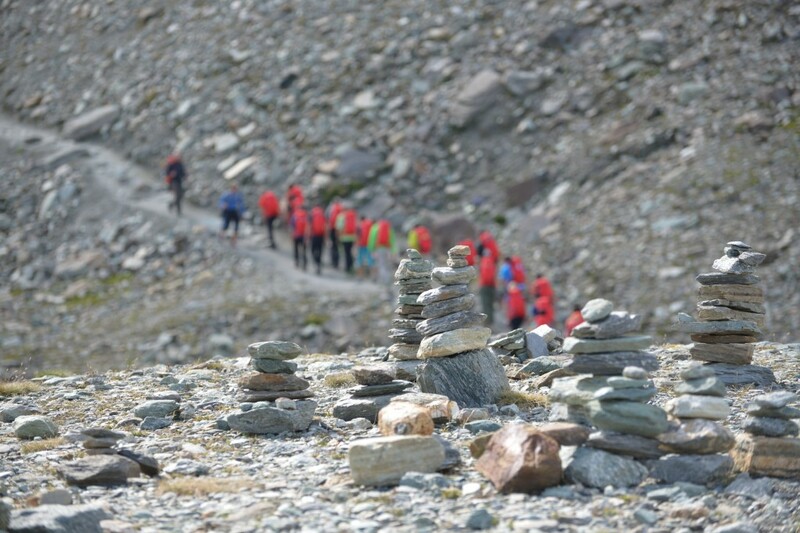 I shall march with a group of several dozen people for 24 hours across the peaks and valleys surrounding the most famous mountain in the world. Memorable year! Happy is he who beheld thee in our land! to tell tales of thee and poets still dream of thee. 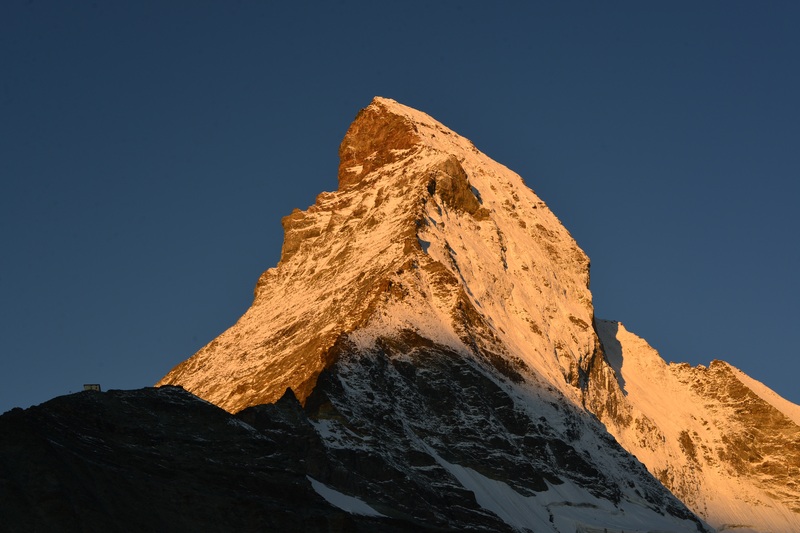 In 2015, Zermatt has been celebrating the 150th anniversary of the first ascent on the Matterhorn, which was made by Edward Whymper and his companions. 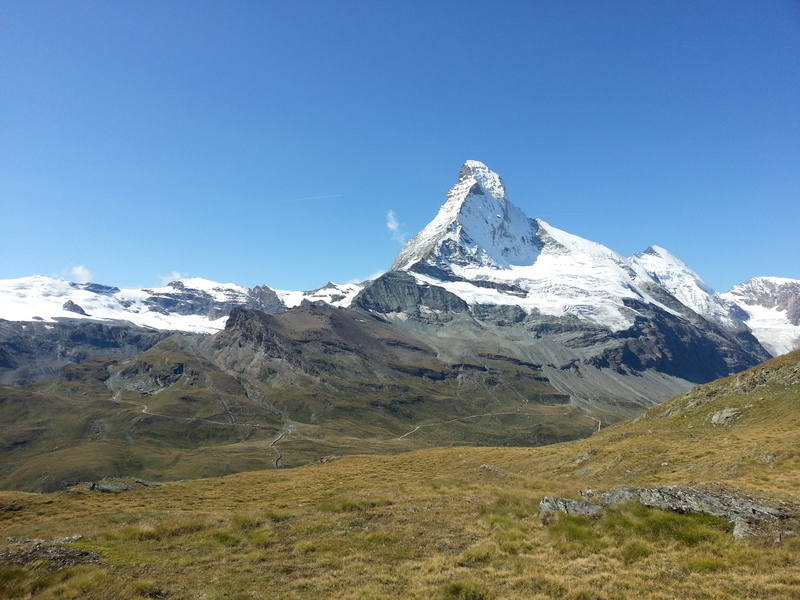 You can learn more about this event important for the mountain tourism in the article The Call of the Matterhorn. 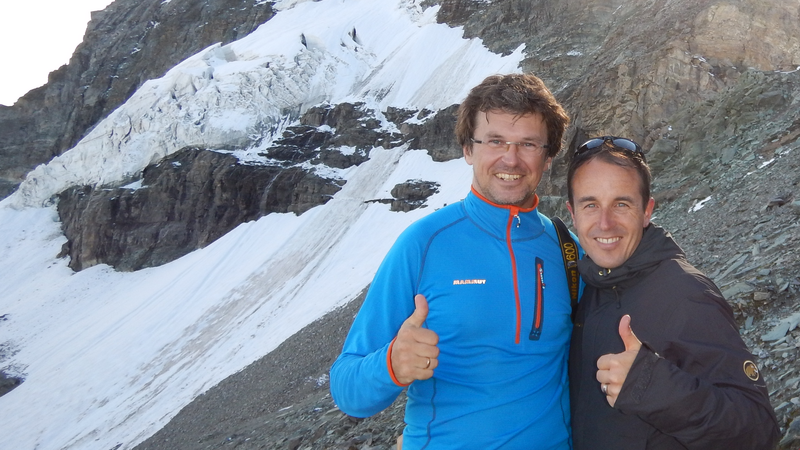 Together with us in the march attended Viktor Röthlin (Swiss runner, European champion in the marathon in 2010) and Didier Défago (alpine skier, gold medalist of the Winter Olympics in Vancouver). The beginning was peaceful. We took Furi cable car up to Schwarzsee (tickets were provided by the organizers). The Lake Schwarzsee (2552 m) lies in a small hollow at the foot of the Matterhorn, and its surface is often very dark, even black, and hence its name. In it’s dark water nicely reflect white walls of a shrine dedicated to Our Lady of the Snows (“Maria zum Schnee”). 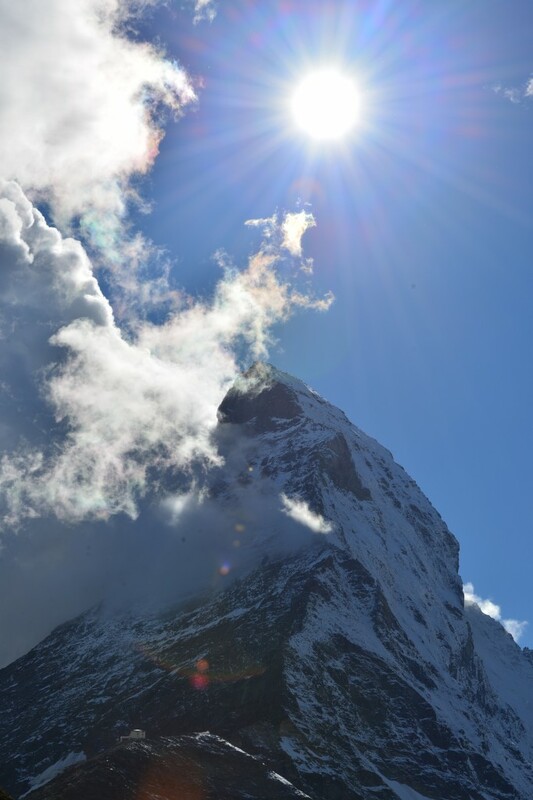 According to the legend, the chapel was built by two inhabitants of Zermatt, who lost their way in the fog. They promised that if survived, they will build a chapel. They survived and kept their word. Our way (Hörnliweg) was leading us up over the banks of the lake in the direction of the mountain, which could not fail to notice. We walked the route, which 150 years ago was traversed by Edward Whymper and his six companions. 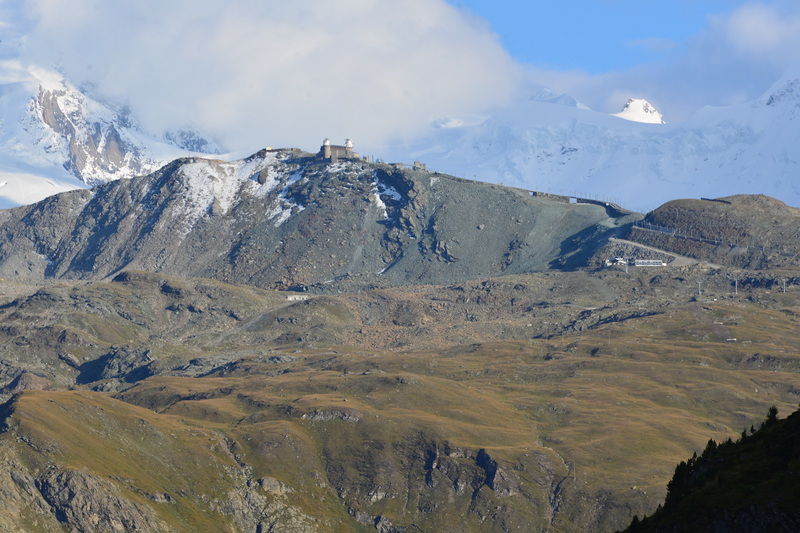 The first shelter was built here in 1880 from the initiative of the Swiss Alpine Club. 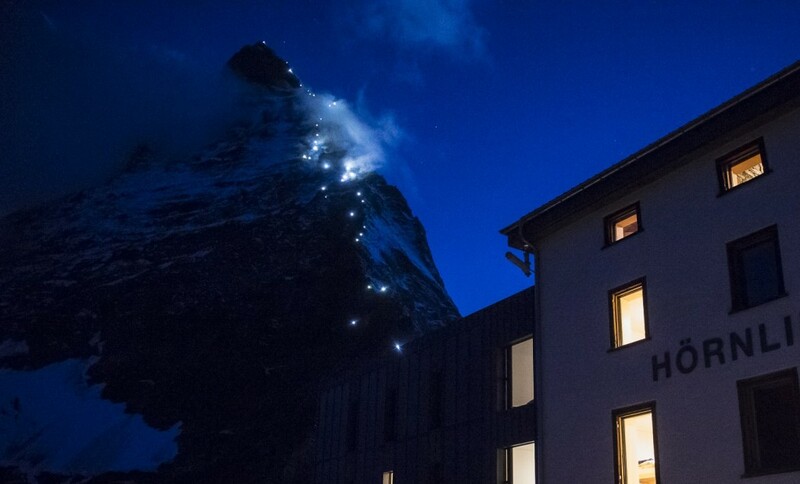 Next to it, in 1911, the town of Zermatt built a mountain hotel (Belvedere). Since then, the two shelters were operating separately, which sometimes resulted in quarrels, as well as generated double cost. Only from 1987 the joint care was taken by the team from the Belvedere. And in 2015, after more than 100 years of operation and on the occasion of the famous jubilee, they modernized both buildings and combined them into one. Transformations have been thought that the new Hörnlihutte meets modern requirements for environmental protection, safety, hygiene and functionality. Renovation has greatly contributed to reducing the impact of the building on the environment, in particular through the implementation of ecological water management, ecological waste management and improved energy balance. Roof surfaces are equipped with photovoltaic modules to produce electricity, while on the terrace are solar collectors for hot water production. When the darkness has come, above us on the Hörnli ridge (Hörnligrat), the lamps have been turned on to indicate the route of the first ascent to the summit in 1865. …and I slept very well despite the height but… short. It was meant to be, so before dawn I went to the dining room for a nutritious breakfast, I suplemented reserves in water bottles and exactly at 6 am we set out for 24-hour hike. The tour was extremely interesting. From the shelter we initially marched down our route from previous day and after some time headed toward the Zmutt Valley which in the middle of the nineteenth century was still filled by the glacier. To this day, forehead of the glacier retreated by as much as 2 km. In the Stafelalp restaurant (2200 m) we ate second breakfast, completed inventories (supply on the entire route was excellent). Nourished and full of enthusiasm we moved up the valley, and after a few hundred meters we started climbing on it’s north wall. I will not describe exactly the further route because, as you know, I still do not have a watch with GPS and besides of that, I remember the rest of the tour as a slideshow of postcards… kaleidoscope of images and emotions…, the fatigue mixed with endorphins. The weather was sensational. 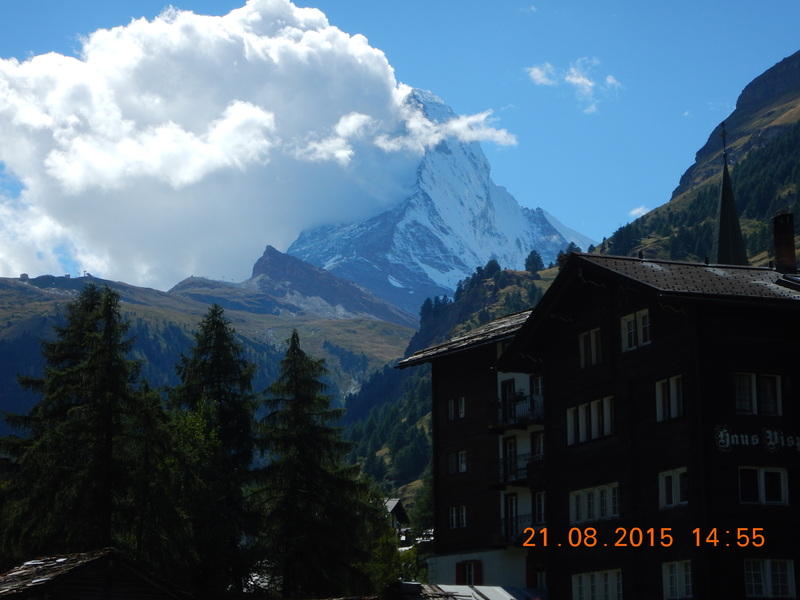 Peaks, glaciers, forests and trails in and around Zermatt presented in all its scenic splendor and beauty. 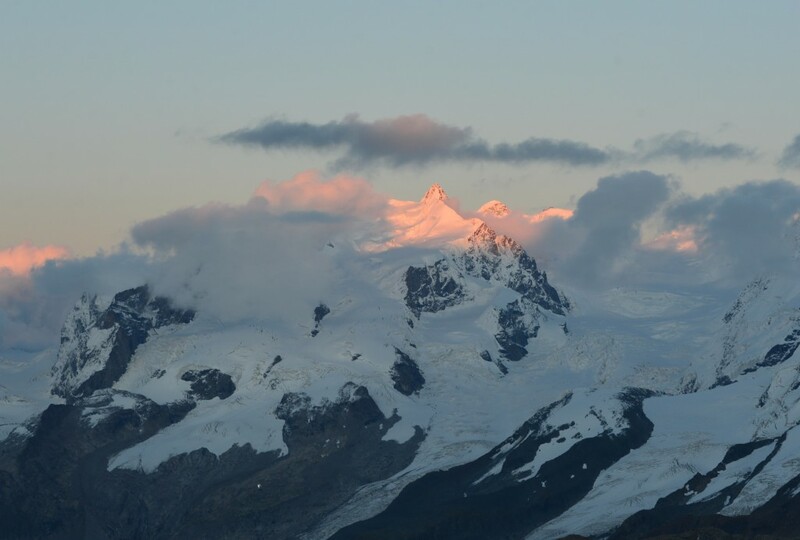 Among other things, we won Mettelhorn peak 3406 m. We climbed on it throught quite large expanses covered with snow and on the top a fabulous view was waiting for us. 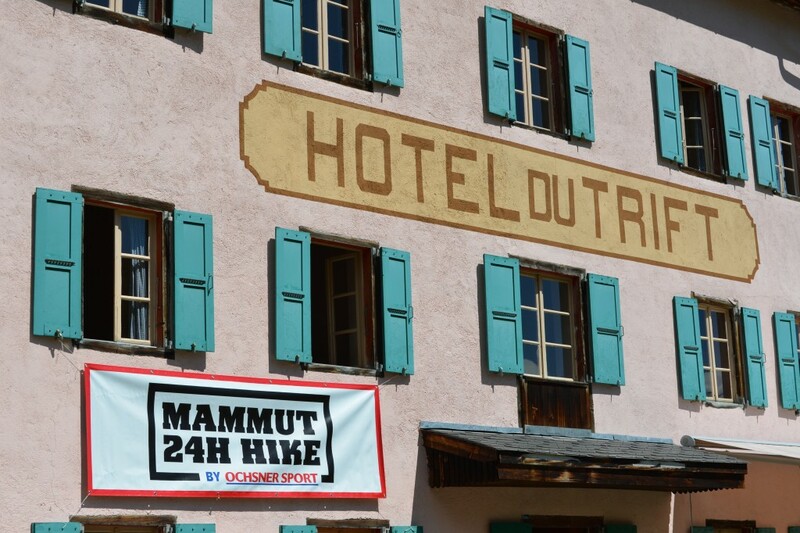 We visited Hotel du Trift (2337) twice, which on that day was a nutritional point not only for the participants of Mammut 24 Hike, but also for the runners of Matterhorn Ultraks race. 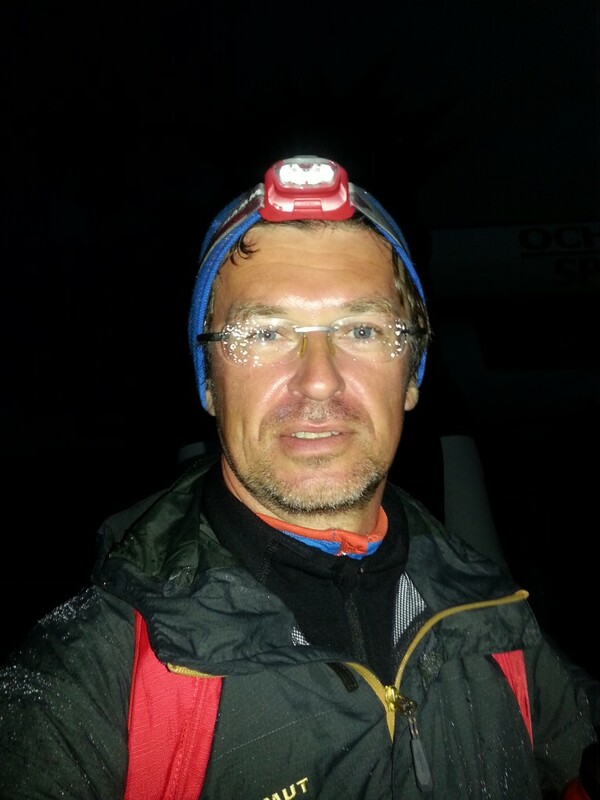 In the evening we had dinner in the restaurant Edelweiss (1961 m) and set off for the night part of the expedition, lighting the way with Mammut T-Trail headlamp. At the end of the hike I was falling asleep standing up and a couple of times staggered a bit but thanks to poles not landed on the ground. It did not happen to me last week in Davos. Maybe because for a short part of the night I slept comfortably at the point of accommodation. 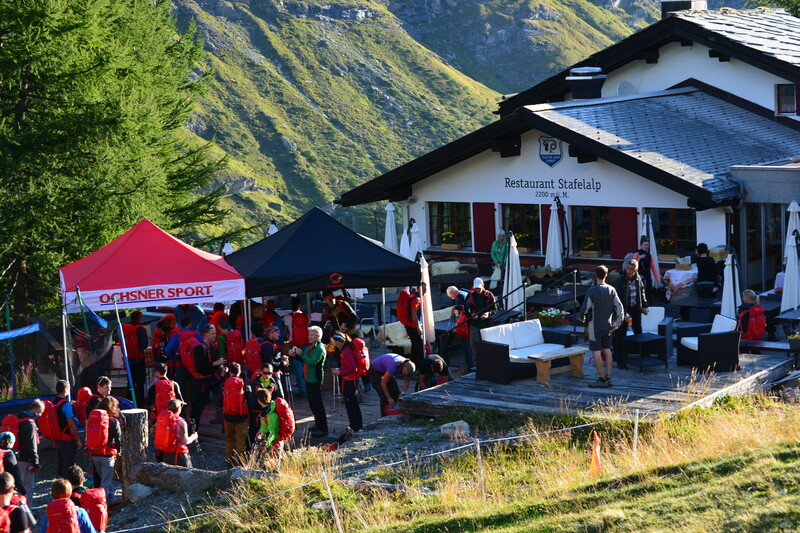 The finish on the Gornergrat (3089 m) just before 6 am with the sounds of “We are the Champions” was the perfect crowning of 24-hour effort. Then else we had a breakfast which put me on my feet and supplemented lost calories, official farewell, jubilee T-shirt Mammut (150 Years T-shirt) and a train ticket to Zermatt. In such a a nice way ended 24 hour hiking with Mammut.